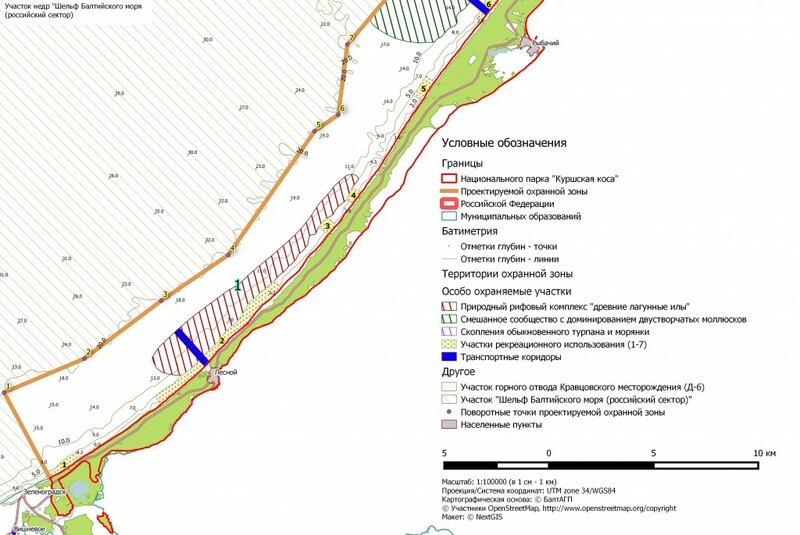 Together with Biodiversity Conservation Center NextGIS has completed mapping for an extension for marine protected zone in Curonian Spit National Park (Kurshskaya kosa, Kaliningrad region). The project is part of HELCOM BASE project («Implementation of the Baltic Sea action plan in Russia»). Projected duffer zone will occupy three kilometers of aquatory of Baltic Sea along the north-west coast and will provide better protection for valuable conservation areas of the region. Using official map base provided by BaltAGP NextGIS has mapped recreation areas, transport corridors and valuable conservation areas of the new buffer zone. You can find more about new territory at Biodiversity Conservation Center webpage.